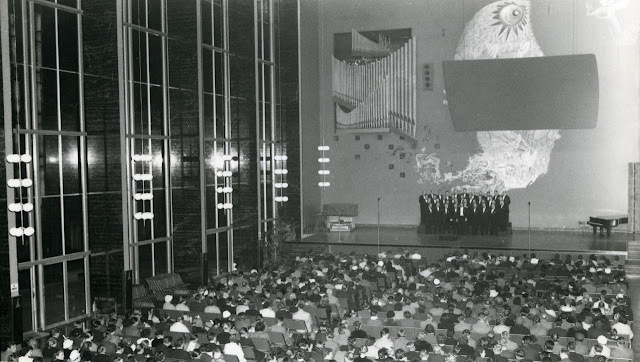 The following is from a speech which Janis CIRKSIS delivered detailing his experience as a Latvian returning home after 50 years of Soviet occupation. It was written in around 1997 so most likely a lot has changed since then. It is a deeply personal account of his experience and by no means is it intended to be indicative of a more general experience. Having said that, it does express many of the daily struggles of Latvians as they tried to reestablish their independence after 50 years of occupation. The original document is written in a script font and thus I have had to transcribe it manually. In order to publish something this week, I have decided to break it (arbitrarily) into 2 halves. As per usual, I would love to hear from you. In particular How do you think life in Latvia has changed since 1997? Tonight I would like to share with you my experiences and observations about the present life in Latvia. 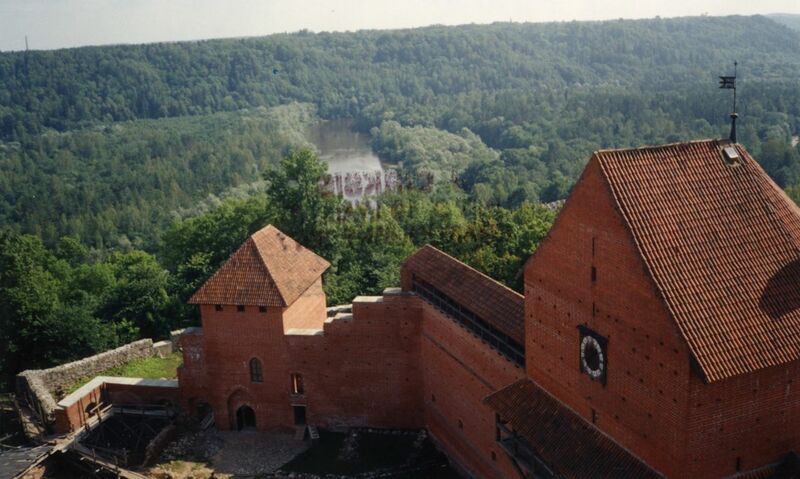 I visited Latvia for about 3 months in 1993, and during 1994/95 I lived there for a further period of 17 months. What I will have to say should not be generalized, because my statements will be to a large extent very subjective. Part of them will also be of a private nature, but I hope will illustrate the current living conditions in Latvia during these periods. inner city with its beautiful gardens. From the observation platform of St. Peters church in the heart of Riga opens up a wide panoramic view of the inner, and large part of the outer city. While still in RIga, I visited the Latvian Memorial Cemetery “Bralu kapi”, and the resting places of our best sons and daughters. Later on during my travels through the Latvian countryside I could enjoy the views of the green farmlands, wide forests, rivers, lakes and the Baltic seaside. For a few days I visited the “Gauja” National Park. From the various lookouts and from the tower of “Turaida” one obtains a good view over this very large and beautiful Park. Within this park one finds also the well known “Dainu” hill and the resting place of the “Rose of Turaida”. Given the relatively narrow focus of this blog I have been quite surprised by the number of visitors that have viewed my posts. It seems that I have had over 600 unique visitors over the past few months. This presents an interesting question for me: Are the people viewing this blog CIRKSIS family members or people interesting in Latvian history? If you are a CIRKSIS family member I would be interested in hearing from you. I am particularly interested in anyone who has information on the origins of the family name. If you are interested in Latvian history, what aspects are you interested in? So even if you don't think we are directly related, why not post a message in the comments section of message me on twitter @cirksis? Here a few of the family heirlooms. On the top left is a ring given to Janis CIRKSIS by his mother during WWII. 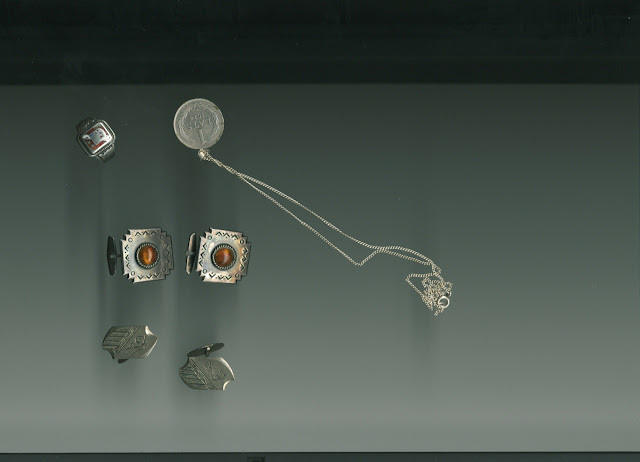 On the top right is a 1 Lats coin, it is made form silver and was worn on a necklace by Janis. In the middle are a pair of Latvian cufflinks which belonged to my father, I think they are silver, in the centre is an amber jewel. Finally, at the bottom are a pair of silver cufflinks which belonged to my uncle.